A discredited profession? — Financial advisors. 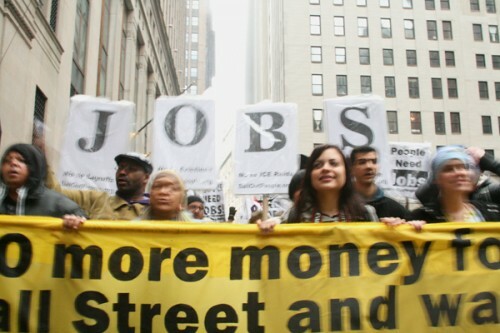 The backlash against the alarmingly greedy pigs on Wall St (“Bail Out People, Not Banks”) was long overdue. Self-inflicted wounds. We’re also familiar with the loathing of the corporate fat cats who showered excess on themselves even as the punctured airship foundered — and, more scandalously, even in receipt of taxpayer-funded bailouts. But now I detect a whiff of a different opprobrium — this time directed at the financial planners and ‘advisors’. In many cases, these ‘advisors’ were nothing more than commission salesmen who directed old biddies and the naive to ‘invest’ their life savings into dodgy finance companies and other dubious ‘investments’ — clipping the ticket i.e. getting paid a slice of the capital as commission on the way. Some disappointed and ripped-off ‘investors’ have sought redress from the their advisors, with little success. In NZ the scandal of the collapsed finance companies (e.g. Bridgecorp and Hanover among others) is only intensified by reports of the inflated commission levels paid to the advisors who sucked funds into the ill-fated companies on their way to oblivion. Often, it turned out, the investments were made with inadequate ‘diversification’ — or, to put it another way: it seemed in some cases the money was directed by the ‘advisor’ to the firms that paid the highest commission. In return for a larger-than-normal clip of the ticket, it seems, some respectable-looking advisors sold their clients down the river and directed the investment — often the only income-producing a retired couple may have had — into the coffers of now-frozen or defunct ‘secured investments’. Financial advisers have been portrayed as both collaborators and fall guys in the finance company collapses. […] The biggest criticisms of advisers who backed the wrong horses has been either that they were hiding conflicts of interests or at the very least lacked the competence to discern when a product was too risky to recommend. The intention of the new Securities Commission-driven code of conduct is to register financial advisers and make them accountable for the advice they give. David Hutton, chief executive of the Institute of Financial Advisers (IFA), says it is accepted that minimum standards for the industry are needed. But it would be unfair to blame advisers for too much. One spectacular example of that was Vestar, which lost an unknown portion of the $1 billion funds it governed in failed finance companies such as Bridgecorp, Capital+Merchant and related party MFS Boston. Debate still rages over whether Vestar’s concentration in such companies was due to bad judgment or the lure of high commissions. Vestar’s owner, MFS NZ, has denied that Vestar encouraged finance companies to pay higher than normal commissions. However, the controversy was enough to prompt Donal Curtin, a member of the Commerce Commission, to step down from the deputy commissioner role last year after questions were raised about his history as chairman of Vestar’s investment committee. Bridgecorp and Capital+Merchant Finance are believed to have paid double the usual brokerage. Hawes also writes about belonging to a despised profession, despite demand for financial advice. He admits having clients lose money on his recommendations, but says, despite the industry’s reputation, he would still use an adviser. “No adviser knows everything. Always question the advice, asking for a second opinion if necessary. Never use an adviser who gets paid from commissions paid by a third party. Yes, I think he’s right about the ‘despised profession’ and right about the lack of trust while commissions are paid. But Martin’s “No adviser knows everything” line misses the point. It’s not about ‘knowing’ — it’s about what my friend Mike McCombie writing in How to Survive and Prosper in a Falling Property Market calls “a divergence of interests”: What’s right for Mr & Mrs retired couple versus Who’s paying the best commission to the ‘advisor’. And the distrust & stigma is only going to get worse, I think, as the recession works its way through and real problems with the various moratoria and suspended payments issues emerge — people are ‘hoping against hope’ and will be disappointed … as the mainly elderly Hanover debenture-holders (owed $500m!!) were this week. Another unfairness which I predict will outrage some will be the uneven distribution of cash from fire-sale asset sales. The hierarchy of creditors is difficult in these situations. Small investors always suffer (“the pigs go to the market to get slaughtered”). I think it all comes down to the consumer – he or she must be “aware” of “their” investments. An investor should never be afraid to close accounts or fire their portfolio manager. I fired mine this year because he allowed me to lose money. It may sound odd to many but when the stock market takes a dive (especially an obvious one like this last year) account managers are able to offload their clients’ accounts into low bearing money market accounts. These accounts pay little or no interest but at least your money is safe from the “excitement” of the market. When the furor dies down a good money manger will then tentatively return to the open market. The same is true for any investment, houses are one good example (considering the recent “bubble”), one does not think in terms of safe haven accounts for houses but selling off your real estate assets and putting that money into a low bearing savings account at the bank is excellent portfolio management; and yes you may lose some money – but the most important thing is — that you won’t lose all of it! People forget that it’s their money — not the holding-house or their fund managers. If you are uncomfortable, then take action. My last fund manager tried to placate me with, “but if we take the money out now we might miss out on future gains…” and similar phrases. I was surprised at how stupid he was because the stock market was facing historically unprecedented negative activity that has not been since the great depression! But, the bottom line is this: it’s my money and I am ultimately responsible for its investment direction; and in the end I took control. The prime underlying features of any investment market are: greed, stupidity and greed. In that order I think. For the sake of discussion, let’s replace the despised profession ‘financial advisor’ with ‘architect’. Do your same warnings apply? 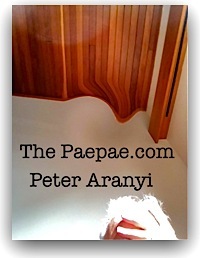 (it’s your house, not your architect’s; if you are uncomfortable [with their plans] take action; it’s my house and I am ultimately responsible) … well yes. What about cardiologist? Car mechanic? School teacher? Scout master? Yes, yes, and yes. But an issue is, none of these professions takes a clip of ticket as payment for ‘services rendered’. Sure. What most people fail to realize with stocks, at least, that each time a trade is made in your name your advisor gets a commission. On top of that the tax implications are huge. Lose money on a trade and you need to account for it. Make money, and you also need to account for it. These two variables offset themselves and even the best tax accountants are left scratching their heads at the staggering volume of trades in a tax year: gain vs. loss. Day-traders are their own worst enemy because not only do they produce huge commissions for their “advisors” but they also disrupt the smooth flow of market mechanics. Why do some of the best companies on the planet trade far below in value than some no-name unproven company? All companies (stock) have an internal strength or weakness that the responsible investor needs to understand before buying. Real money is made from long-term investment, 6% to 8%, over 20 or 30 years, by investing in solid, rock-steady (unexciting) companies. The flipside is that it is not unusual for short-term (day-traders) investors to see gains of 15% or greater — but just like at the Casino, the “house” will win that money back when your luck changes – because, at the end of the day, day-trading is just that – gambling! The true downside of Day-trading is the disruption to the market and this affects all investors. But, of course, you are right. Regardless of what happens to the investor the “advisor” gets his share all the same. Simon Hassan, a financial adviser who runs his own business, says the reality is that public trust will not be restored until commissions are stopped – particularly on investment advice. Mr Hassan says most in the financial services industry are good people but do not understand that taking any commissions completely “pollutes” their relationship with their client. He said the commission system stemmed from pressure on the insurance industry in the mid-1990s to cut costs which they did by encouraging their salespeople to go out on their own and call themselves advisers. Those companies then ensured their products were still sold by paying commissions. Mr Hassan said it was often not made clear that commissions on investment products were taken from the money invested by the consumer so they were still paying for it. “It’s very easy to mask the effect of commission on investment.” In the good times the investment went up and it was taken out of the return and in bad times it could be blamed on the market. Mr Hassan says a ban on finance companies paying commissions should be at the top of the list. As I suggested. Greedy. What he bases the “most in the financial services industry are good people” comment on, I don’t dare to think. What? More good than police officers? Social workers? Priests? Consumer Magazine, once regarded as a trustworthy if somewhat fusty publication dedicated to providing its readers with an objective assessment of the performance of washing machines and hair straighteners, has recently published the results of a major project to uncover something that we already know. The standard of financial advice in New Zealand needs to be improved. The piece concludes by commenting on Consumer’s so-called “Sunday tabloid style of journalism” and wondering out loud about Consumer’s “credibility”. Of course this is probably a cheap shot at Sue Chetwin, Consumer’s director CEO who formerly was editor of a Sunday newspaper — and prior to that, a fiercely-competitive and well-thought of reporter for Wellington’s Evening Post newspaper … someone whom I came across covering municipal politics, the same beat I covered for Radio NZ before moving to national politics in the Parliamentary Press Gallery. Far from being confined to testing home appliances, the Magazine has a long and distinguished record of pointing to financial scams and wrongdoing. They have the guts to name names and point fingers. General rule: If you’re in Consumer‘s spotlight, there’s a reason. The defensive ‘advisor’ Liz Koh should know better than to try to shoot the messenger. Liz, contrary to your unsubstantiated claim, Consumer NZ (unlike the financial planning industry you represent), remains a trustworthy and reliable source of independent advice. And unlike the financial planning industry, it openly discloses where its income is derived from. So long as financial planners in NZ continue to receive commissions, they will keep recommending investments that may not be in their client’s interests, but which instead enrich the financial planner. For example, finance company Bridgecorp paid twice the commission of other companies and consequently many, many financial planners recommended it to their clients. […] Liz, how much did you make from recommending Bridgecorp to your clients, before it went bust? Rather than denigrating Consumer NZ, which for 50 years has been providing impartial and unbiased advice to the public, you should instead use your influence to get your own industry in order, before the Government steps in and does it for you. Already the Government has had to force advisers to tell their clients what their qualifications and experience are; and criminal records checks are just around the corner under the new Act. […] Wake up and smell the breeze of discontent Liz, instead of trying to defend the indefensible. Will she answer? I wonder. As to undertaking this major survey only to “sell magazine subscriptions”, I can only say that we investigate issues that we think will interest consumers. The November magazine which contains the financial advisers’ survey has as its main cover feature a review of digital cameras. While I disagree with the headline (chances are Martin didn’t write that) I agree with the hopeful sentiment. Transparency is the only choice for this ‘despised profession’. Certainly Liz Koh et al’s attempts to discredit the messenger are a shot in the foot, it seems to me. I do not think it will be very long before commissions paid for the sale of investments will be banned in this country. In the past few months there has been a sea change and the tide is now running very strongly away from those who sell investments on a commission basis. Financial advisers would be well advised to think about their business models. In July last year I said financial advisers would never win the respect of the public or be regarded as true professionals until they changed the way they were paid. Few in the financial advice industry agreed.